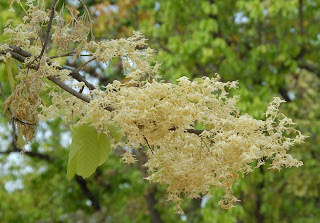 When the Buddha arrived in Kusinara and lay down between two sal trees, they burst into flower out of season and sprinkled their petals over him. Ananda expressed amazement that the very trees were revering him, the Buddha said: “Ananda, these sal trees burst into flower out of season in homage to the Tathagata and covered his body…But the monk or the nun, the lay man or the lay woman who lives practicing the Dhamma properly and perfectly fulfills the Dhamma, he or she honors, reveres and respects the Tathagata with the highest homage” (D.II,137-8). Being Vesakha I thought it appropriate to say something about sal trees. The sal tree (Shorea robusta) is sala in Pali and occasionally assakanna because the leaves resemble a horse’s ear (Ja.VI,528). Sal is a majestic tree growing up to 45 meters in height and having a girth of 3.6 meters, with ovate oblong leaves and pale yellow flowers. Its difficult to find huge sal trees today, they are almost always cut down before they become what the Buddha called “forest monarchs” (vanaspati, S.IV,302). Once I saw one on the edge of Corbett National Park that must have been about 40 meters and I am told that there are still giants growing in Royal Chitwan National Park in Nepal. The tree is described as having dark green leaves, a straight trunk and being beautiful to see (Ja.V,251). In the light of this story and the belief that the Buddha passed away during Vesakha, it is interesting to note that the sal usually blossoms in March-April and occasionally in May, if there has been a lot of rain. The huge sal trees that grew in the lower reaches of the Himalayas had leaves and foliage, bark and shoots, soft wood and heart wood (D.III,152). The Buddha described how a man would make a boat out of a sal trunk. First he would locate a large tree in the forest and cut it down with his ax. After shaping the exterior and hollowing out the inside, he would them further shape it with a scraper and then smooth it with a rock ball. Finally, he would fix a rudder, make a pair of oars and then slide it down to the river (A.II,201). The Buddha also describes a man going to a sal forest near a village and thinning the other trees and the crooked sal saplings so that the other Sal trees would grow bigger and straighter (M.I,125). Sal trees were sometimes strangled by parasitic vines (Dhp.162). The Buddha once said that his Dhamma was so convincing that if the great Sal trees had consciousness and could comprehend, even they would benefit from it (A.II,193). One moonlit night, Ananda and Revata went to visit Sariputta at the Sal forest of Gosinga which was “delightful…with all the trees in full bloom and with a heavenly fragrance wafting through the air” (M.I,212). Sometimes gruel was made from or flavored with sal, either the flowers or perhaps its resin (A.III,48). The sal was and continues to be even today an important source of timber in India. 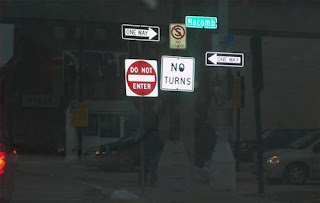 Often samsara is so confusing we don’t know which way to turn. 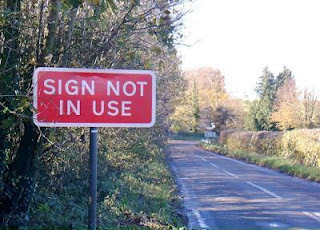 Just as often we have to struggle to make sense of it. The Buddha’s Dhamma offers sound and practical advice on how to move ahead and gives meaning to what might otherwise appear meaningless. That is why I take refuge in the Buddha, his Dhamma and his Sangha. And to all my readers who have done the same I wish blessings, good-will and happiness this Vesakha . During the years in the ‘80s that Ken and Visakha Kawasaki were working as ESL professionals in the Indochinese refugee camps in Thailand and the Philippines, they observed that most of the NGOs providing relief services to the refugees were Christian based. Although some were less blatant than others in their proselytization, none offered support to the Buddhist monasteries, despite the fact that those monasteries were central to the lives of many refugees, especially for the lowland Lao, the Khmer, and the Vietnamese. 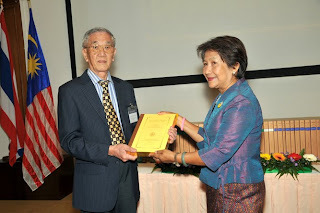 After the Kawasakis left their jobs with the refugee programs and returned to Japan to teach, they spent their summer vacations in Thailand and revisited the refugee camps. 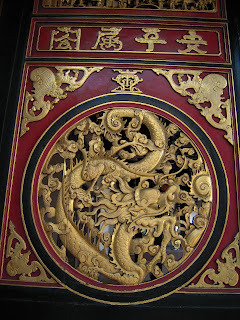 Friends often asked them to carry donations to the monks and the monasteries. 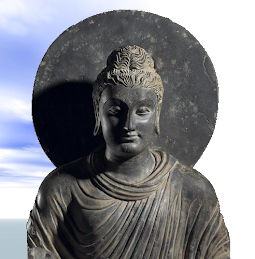 That was the beginning of Buddhist Relief Mission.Although the Kawasakis were living in Japan, many of their donors were in the United States, so, in 1988, BRM was registered as a non-profit organization in the State of Michigan. 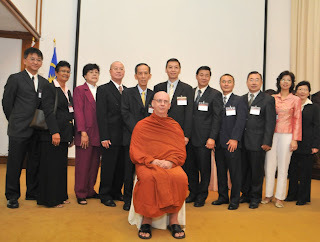 In 1989, BRM learned from refugees in Thailand that there were virtually no Buddhist texts printed in Lao. One day, while visiting the library of World Fellowship of Buddhists in Bangkok, the Kawasakis found an old copy of The Dhammapada in Lao. The following year, they had collected enough donations to reprint almost 5000 copies of this book for free distribution not only to refugee communities and monasteries around the world, but also inside Laos. This was followed in subsequent years by reprints of The Dhammapada in Khmer, Mon, and Vietnamese. After sending several thousand copies into Cambodia in 1992, BRM learned that this was the first distribution of any Buddhist text in that country after the Khmer Rouge devastation. The Indochinese camps are long gone, and BRM activities have broadened, but the Kawasakis are still concentrating their attention on isolated Buddhist communities, including refugees, particularly Burmese, following the violent upheavals in that country since 1988. 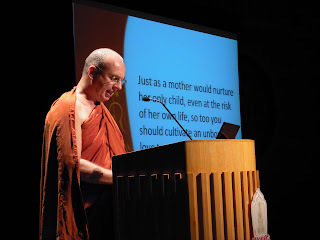 BRM projects have included scholarships for monks studying in Burma, India and Sri Lanka; Sangha hospitals; and Buddhist orphanages and schools in Burma, Bangladesh, and India. For many years, BRM has supported Buddhist individuals and groups in prisons in the United States. During their residence in Michigan, the Kawasakis served as chaplain’s assistants for the local jail and as Buddhist consultants for the Michigan Department of Corrections. 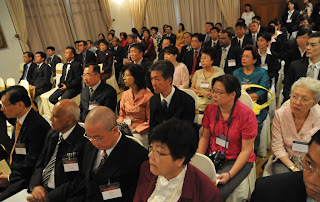 In 2005, the Kawasakis moved to Sri Lanka, where they continue as directors of BRM. Since 2006, they have conducted an annual intensive English course, mainly for university-student monks, in India for three years and in Sri Lanka for the past two. One of the most important characteristics of BRM is that it is very small. 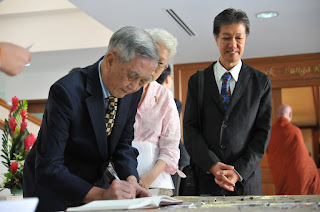 Neither the Kawasakis nor any of the volunteers for the various projects receive any remuneration, although, because BRM has been granted 50l (c) 3 status by the United States government, donations and volunteer expenses can be exempted from income for tax purposes. 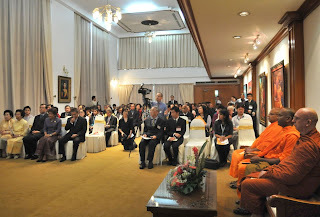 All of the activities of Buddhist Relief Mission are described with photos on their website, . 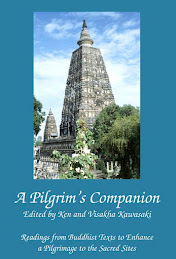 Also available on the website are all of BRM unique creations, including an audio CD set, Pali Chanting–International; a multi-media CD and DVD, Strive On With Diligence; and the board game, Buddhist Knowledge Quest, which was featured in Dhamma Musings on August 25, 2009 < http://sdhammika.blogspot.com/2009/08/new-dhamma-game.html . You can contact Buddhist Relief Mission via the website or at buddhist@brelief.org . The letter (vayanjana) refers to the exact literal meaning of a statement and the spirit (attha) refers to the broader nuances and implications that the letters might convey. 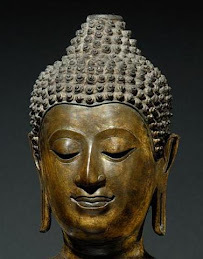 The Buddha said that an enlightened person is ‘skilled in the words and their interpretation’ (niruttipada kovido, Dhp.352) and that we should understand and practise the Dhamma ‘in both the letter and the spirit’ (D.III,127; Vin.I,20). This is because only a harmonious balancing of the two will make our spiritual journey fruitful. If we focus too much on the letter we tend to become pedantic, rigid and even edge towards fundamentalism. If we do not give the letter the attention it deserves we can end up thinking that we are practising the spirit of the Dhamma when all we are doing is interpreting it to suit ourselves. The letter orientates, the spirit illuminates. There are many examples where the disengagement of the spirit from the letter can cre ate problems. 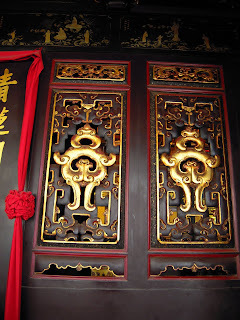 For example, the Buddha placed the highest value on honesty and said that we should always tell the truth. However, it is possible to tell the truth with the specific intention of hurting someone. One can say something, the literal meaning of which is one thing, while the tone in the voice or the expression on the face suggests the exact opposite. By omitting just one or two essential facts or highlighting others, it is possible to give an entirely different picture of the event one is recounting and yet maintain, quite truthfully, that everything one has said is true. It is also possible to speak with just enough equivocation that the exact meaning of one’s words is unclear and later deny or affirm what one has said according to what is convenient. 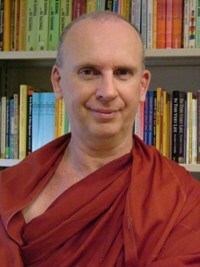 These examples show that one can adhere exactly to the letter of the Precepts, the Vinaya or other aspects of the Dhamma while being cruel, devious, manipulative or dishonest. 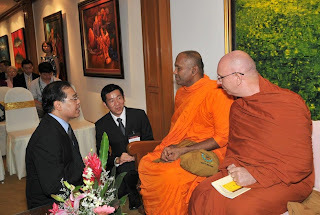 How can we avoid this kind of distorted approach to the Dhamma? 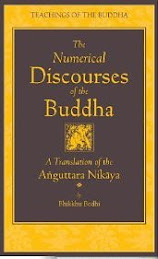 The first thing that can help us integrate the letter into its spirit is to always put any of the Buddha’s words within the context of the whole Dhamma. For example, the Buddha made a rule that a monk or nun who develops psychic powers should not display them. Some time later, when two children were kidnapped by bandits and a certain monk used his psychic powers to rescue them, he was roundly condemned by his fellows for ‘breaking the rule.’ But the Buddha cleared him of any offence, for while the monk had broken that particular rule he had conformed to the spirit of the Dhamma by acting out of compassion for the children and their parents (Vin.III,67). The other thing that guarantees a fruitful integration of the letter with the spirit is what the Buddha called (M.III,38) internalizing the Path (patipabam yeva antarma karitva). If we commit ourselves to practise sincerely, wholeheartedly and honestly, this will give us the self-confidence and wisdom to know the words and to see their deeper and broader meaning. In the Dhammapada 222 the Buddha said: ‘Overcome anger with love, evil with good, miserliness with generosity and falsehood with truth.’ But will such thoughts, attitudes and actions alone be enough to deal with hostility like this? 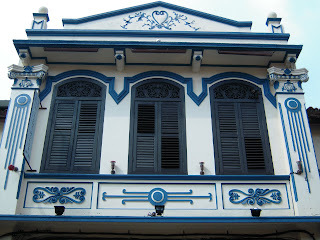 Last month I went to Malacca in Southern Malaysia together with 20 members of our society. 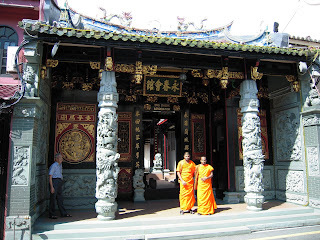 We were guests of the Sek Ya Yee Temple whose members greeted us warmly and looked after us with great hospitality. Here are a few photos I took in the old part of the town. This is my favorite photo. 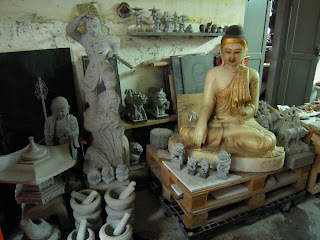 I took it is the workshop of a stone sculptor who invited me in.